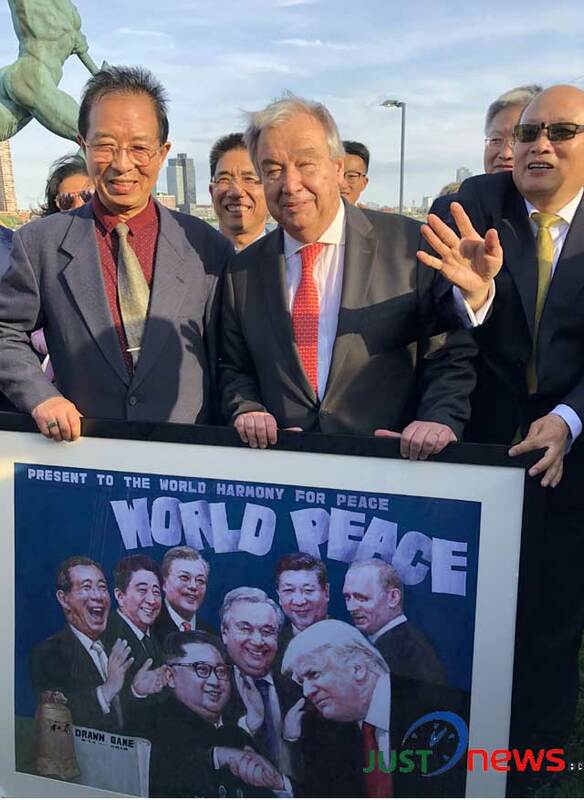 UN Correspondent from New York, Jun 26 (Just News): The United Nations Correspondents Association celebrated its 70th anniversary amid enthusiasm and festivity on Tuesday. 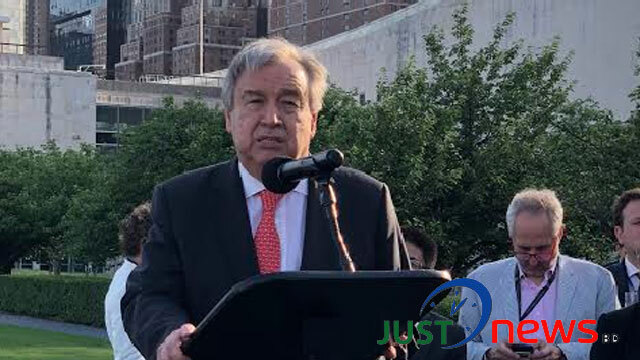 UN Secretary-General António Guterres formally inaugurated the anniversary by cutting a cake at UN headquarters’ Rose Garden premise in the evening. During the programme the UN chief exchanged pleasantries with UNCA members. At that time Secretary-General also had conversation with first Bangladeshi UNCA member M Mushfiqul Fazal. 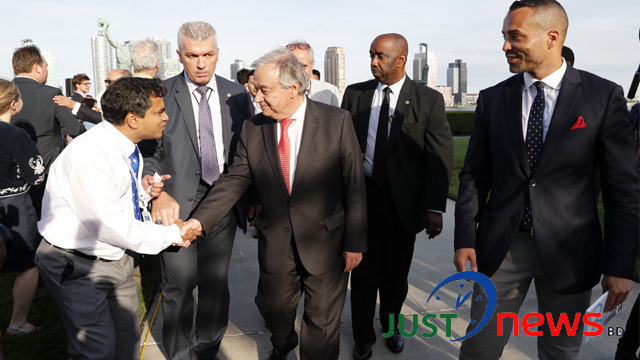 The UN Secretary-General informed that he will visit Bangladesh to oversee the situation of Rohingya’s who have fled Myanmar facing humanitarian catastrophe. World Bank president will also accompany him during the visit, he added. During the brief conversation Just News Editor and UN Correspondent raises Democratic crisis of Bangladesh, imprisonment of main opposition leader Begum Khaleda Zia, government’s inhuman act on her sickness, and extreme human rights violation. On these issues António Guterres said the upcoming visit to Bangladesh focusing on Rohingya issues only. UN Secretary-General and World Bank Group President Jim Yong Kim will came to Bangladesh on 3-day visit on June 30. They will likely to visit Rohingya camp on July 1. UNCA President Sherwin Bryce Pease welcomed the guests in the event.